For 15 years Visiontek Systems has been at the forefront in the innovation and development of EMI/RFI shielding solutions for display and windows. The 2nd Generation EmiClare MicroMesh is the latest in a series of products that started with the original EmiClare woven wire mesh. 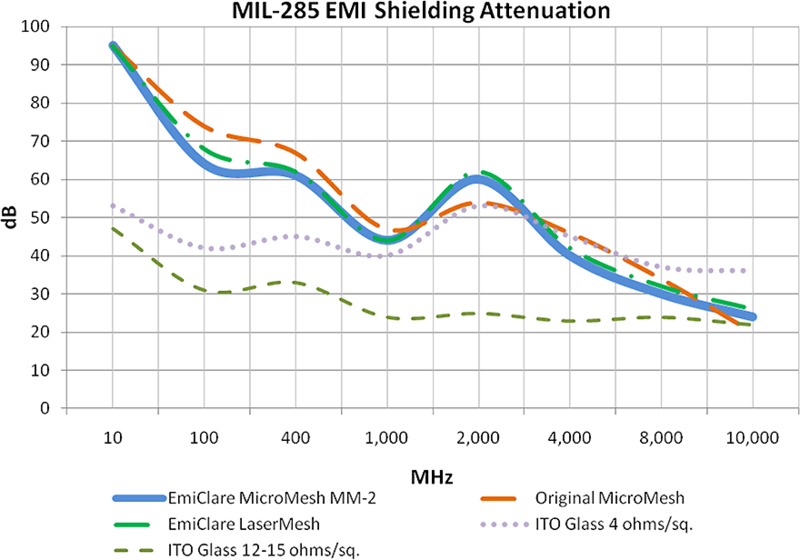 As displays continue to evolve in size and definition, the new generation MicroMesh offers the combination of higher light transmission and shielding effectiveness that is not achievable with ITO coatings. 2nd Generation EmiClare MicroMesh is the result of Visiontek Systems continued R&D program and maintains the principle of innovation by combining the fine line conductive printing process as introduced with our EmiClare LaserMesh with the display-optimised pattern that has made EmiClare MicroMesh the leading solution for shielded displays and touch screens.